1. Hiking the Inca Trail is the only way to get to Machu Picchu. Thousands of travelers hike Machu Picchu's Inca Trail tours every day, and only a fraction of these visitors got there via hiking the Inca Trail. After hiking the trail for four days through sparsely populated mountains, many Inca Trail hikers are surprised to find a small but bustling modern town at the base of the mountain, complete with a crowded train station. The Peruvian train system is extensive, and has been shuttling travelers to the base of Machu Picchu mountain from the Sacred Valley for years. In fact, a huge portion of our travelers opt to skip the Inca Trail altogether, and instead hike one of the many alternate treks available throughout the Sacred Valley. These treks enjoy less human traffic, unique Inca sites, and more flexibility as they are not closely regulated by the Ministry of Culture. Don’t feel like trekking at all? One of our private drivers can shuttle you directly to a train station, setting you off on a beautiful two hour train journey through snow-capped peaks on the way to Machu Picchu mountain. It really couldn’t be easier! 2. You have to ‘rough it’ on the Inca Trail. As our travelers arrive at their first overnight camp on the Inca Trail, they will see a dining tent, bathroom tent, shower tents, and a hot dinner being prepared by trained chefs. All this comes standard! All “roughing it” nightmares are quickly dispelled. After dinner, it’s bed time in our well-kept mountaineering tents and comfortable sleeping pads. For some, trekking in the Andes can even reach luxury levels. On our lodge-to-lodge Peru treks along the Salkantay and Lares routes, this evening scene takes place in a cozy lodge. By the time you wake up in your warm bed, your boots will be cleaned, breakfast will be served, and your day of adventure will be waiting for you. 3. Porters on the Inca Trail are treated poorly. Global Basecamps realizes that some travel companies take advantage of their labor around the world. Other, more “budget” Inca Trail tour operators often cut corners wherever they can. Along with worn camping equipment and bad food for you, the hiker, this also means porters carry more, eat less, and bring less money home to their families. One of the key tenets of our sustainability ethos is to prevent the poor treatment of local porters and guides. Sustainability means that the communities in which we operate stay healthy. Our porters are well fed, well paid, and are happy in their work. Travel is more than just an experience for the traveler; it’s often the lifeblood of local economies where it’s most needed. 4. The Inca Trail is crowded. You caught us… This isn’t really a myth. With five hundred people allowed to enter the Inca Trail daily, including porters, guides, and support staff, the Inca Trail can feel like a cattle call of hikers. Fortunately, a solution to this issue is not only easy, it can result in an overall better experience for Global Basecamps trekkers. By changing the standard four-day Inca Trail to a more comfortable five-day trek, a few key improvements are made. On the five-day trek, we depart from the Inca Trail’s “starting line” in the afternoon, after the morning crowds have cleared out. A casual hike on day one leads us to a more private camping area short of where everyone else camps on the first night. The result is a staggering of camping sites; our trekkers see less people on the Trail, and experience a more personal, quiet, and enjoyable Inca Trail. And finally, on a final day when other trekkers awoke extra early to arrive at Machu Picchu, our trekkers arrive in the afternoon to enjoy a more peaceful Machu Picchu, when the setting sun makes for breathtaking pictures. 5. The Inca Trail is the only thing to do in Peru. We understand that vacation time is limited, and our travelers might only have time to fly in, hike the Trail, see Machu Picchu, and double-time it back to the office. But we wouldn’t list Peru as one of our favorite countries in the world if a four day hike was the only highlight! 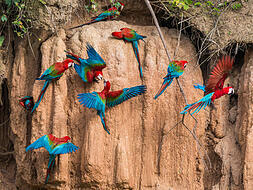 Peru is meant to be explored. So many of its diverse regions, from immense Lake Titicaca to the dense Amazon Rainforest, revive a sense of frontier exploration. 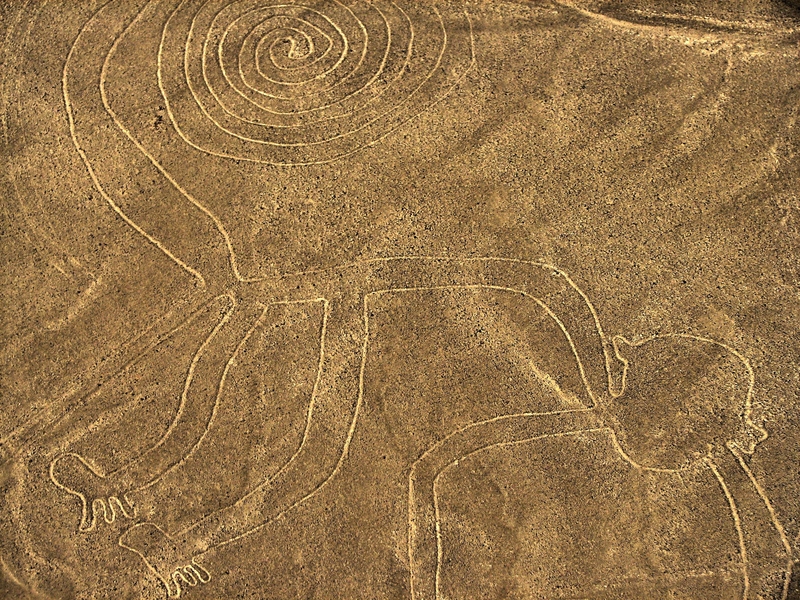 Thousands of years of human heritage have left archeological treasures around the country, from the Nazca lines to Espiritu Pampa, and even pre-Inca sites still standing among the capital Lima. The capital itself is experiencing a cultural renaissance. Bohemian neighborhoods play host to restaurants lauded as some of the best in the world. Tourism is making real changes, revitalizing the entire country. The time to explore all of Peru is now. 6. You can hike the Inca Trail solo without guides/porters. 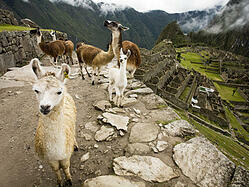 Peru regulates the Inca Trail for a variety of reasons. (To curb overcrowding, to maintain the structural integrity of the trail, etc.) One reason Peru regulates the Trail is to provide employment for locals. The Ministry of Culture requires that all outfitters operating on the Inca Trail are licensed, insured and socially responsible. Our guides are the best of the best when it comes to trail safety, knowledge of flora and fauna as well as go through extensive courses and qualifications in terms of history and archaeology. Our guides truly make the Inca Trail a once in a lifetime experience. Thanks to measures like these, Peru’s economy has boomed in the past twenty years, and we consider that a win-win for everyone. 7. The Inca Trail is only for young, fit, active people. themselves, that we are confident almost anyone can complete this once in a lifetime experience. Still nervous? Consider the five-day trek described up in Myth #5. Stretching the hike out across an additional day really does make a huge difference! 8. I can plan my hike on the Inca Trail at the last minute, or upon arriving in Peru. Think again! The Ministry of Culture limits Inca Trail permits to five hundred hikers per day, and permits for the entire year go on sale in early January of every year. These permits are reserved by name, on a first come, first serve basis, and cannot be re-sold. One can only imagine the competition between travel companies to buy up permits is fierce! As an example in 2014, we were astounded to see the Trail was sold out months in advance starting in January. When should you start planning your Inca Trail adventure? As soon as you can. 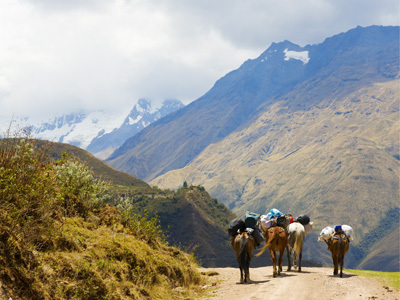 We recommend planning about eight months in advance if your heart is set on the Inca Trail. If you’re still not convinced, read our long-form blog on why you should plan ahead for the Inca Trail. Can’t plan that far in advance? As we’ve mentioned previously, there are plenty of alternate treks available even at last minute! See Myth #1. 9. The Inca Trail is unsafe. Concerns about safety are always valid, and Global Basecamps holds traveler safety as our top priority. 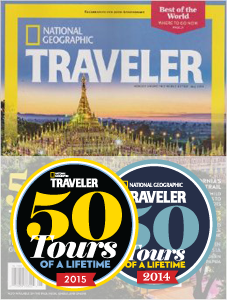 Thankfully, countries that depend on tourism like Peru realize the importance of traveler safety. From tourism police in Cusco to the well-guarded Inca Trail, Peru treats the safety of travelers as a matter of national security. Tour operators are held to strict safety protocols on the Trail. Guides are required to carry satellite phones, oxygen tanks for altitude sickness, and a variety of other safety and first aid materials. 10. If you stay at Sanctuary Lodge, you can explore Machu Picchu after everyone has left. This last myth is really more about your post-Inca Trail accommodations. The majority of our luxury travelers list the Sanctuary Lodge at Machu Picchu as one of their trip priorities, assuming they’ll get easier access to the site. The fact is, for the majority of travelers staying in Machu Picchu Pueblo, the Inca city is a twenty minute shuttle ride away. By staying at the Sanctuary Lodge, travelers pay a premium to skip this shuttle ride, and sacrifice the lively atmosphere of the hundreds of international adventure seekers mingling in the village’s bars and restaurants. The gates in to Machu Picchu proper open and close at the same time for everyone, and entry into the site after hours is off limits for everyone. Suffice to say, if you’re seeking luxury accommodations near Machu Picchu, we recommend more logical, affordable, and all around better options.